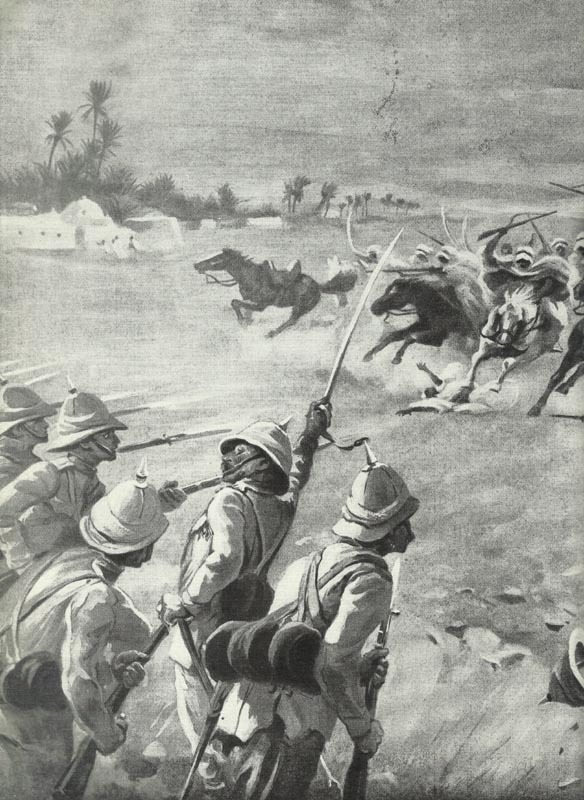 For the Turks fighting Arab tribes are attacking British soldiers near the Suez Canal. Sinai: 2,000 British soldiers inflict 50 casualties on Turk raiders 10 miles east of the Suez Canal. Flanders: Belgian landing on east bank of river Yser. Alsace: ­French 1 st Chasseur Brigade reaches German 2nd line on Hartmannsweilerkopf, taking 200 PoWs until next day. Champagne: French attacks finally slacken. China: Secret Sino-Japanese Agreement (4 demands) on Southern Manchuria.